Motorola ha lanzado su serie G7 y ahora es el momento de probar el Moto G7 Play, un smartphone económico que incorpora un Qualcomm Snapdragon 632 SoC, 2 GB de RAM, 32 GB de almacenamiento interno y una pantalla IPS de 5,7 pulgadas. El G7 Plus obtuvo una alta puntuación en nuestra reciente revisión, pero ¿cómo se compara con su hermano considerablemente más barato? Sigue leyendo para saber cómo funciona el Moto G7 Play en nuestras pruebas y cómo se comporta frente a otros smartphones de nivel básico. The Moto G7 Play isn’t a flagship killer, but at £150, it wouldn’t be. Instead, the G7 Play is a solid smartphone that despite not having high-end internals can provide a smooth, lag-free mobile experience – even when playing the likes of PUBG Mobile, and that’s impressive. The build quality is great despite the use of plastic, with fine detailing across the handset giving the G7 Play a more premium look and the lightweight nature of the phone is certainly a plus. The Moto G7 Play has modest specs and low price and quite expectedly it has some issues, mostly concerning app loading times. But the Play was well-designed, the chipset is a good choice, and the camera is skillful enough for the class. The Moto G7 Play offers amazing value for money and could be a great crash phone or choice for parents with accident-prone kids in need of a smartphone. It features a robust design, reasonable battery life and near untouched version of Android 9. The only downside is that for a mere £40 more you can pick up the Moto G7 Power, which has a nicer design, is more powerful and features a giant battery that'll easily smash through two days use. 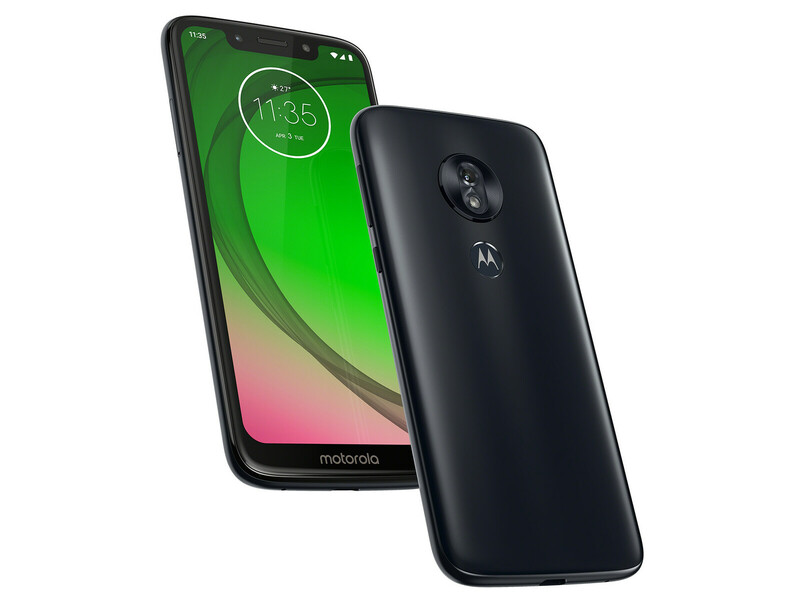 Pocketable, affordable, zippy in day-to-day use - the Moto G7 Play may be a budget phone - and it isn’t built for gaming, despite its name - but it bears all the hallmarks of a four-star device. It delivers great battery life, gives you access to tons of apps, and it offers value for money that can argue away most of its shortcomings. The Moto G7 Play offers amazing value for money on paper, and could be a great crash phone or choice for parents with accident-prone kids in need of a smartphone. It punches above its weight in terms of performance, has a competent camera and looks a lot more expensive than it actually is, even if the plastic build gives the game away once you get it into your hand. The G7 Play is a value buy with enough specs and space to get anyone off the ground with basic smartphone functionality and it's one of the cheapest devices running Android 9 Pie. The Motorola Moto G7 Play certainly looks cheaper than the rest of the Moto G7 family, but it is sub £150, putting it firmly in budget smartphone territory. 70.96%: Esta evaluación es mala. La mayoría de las portátiles son mejor evaluadas. Esta no es una recomendación para compra.